A European beauty traveled her way to Asia as a rare find. North Wind Yachts are a quality first class offshore sailing yacht and this well presented North Wind 60 Deck Saloon is immaculate. No expense has been spared in its remodel and the pride of ownership by its marine engineer owner is obvious.Extensive recent refit work continuing, including new sails, new boom vang, new center cockpit tender and new Air Conditioning throughout. Also, recently overhauled furler, engine and genset. Many more items, too numerous to note. Inquire for a full list of improvements to this beautiful European thoroughbred.Extensive, $80,000 recent refit by marine engineer owner.The best priced and now one of the nicest Northwind 60s on the market globally.Contact broker for details on this exceptional pedigreed blue water cruiser. 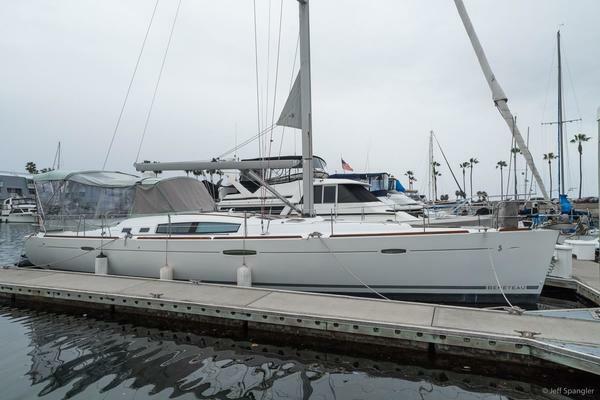 United Yacht Sales New Jersey would love to guide you through a personal showing of this 60' North Wind Nw60 1998. 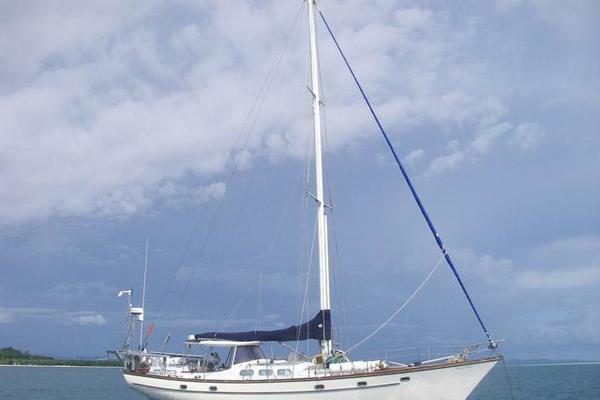 This yacht for sale is located in Singapore Singapore and priced at $449,000. For a showing please contact us by filling out the form on this page and we will get back to you shortly! The sail plan is fantastic and very easily managed with a furling cutter configuration and in mast furling. There are five electric winches that operate the sails and shorthanded sailing is made very simple with this set up. The transom opens to make a swim platform that is perfect to suit up and go diving, swimming or board the tender. On deck, the cockpit is separate from the helm position which gives a tremendous amount of additional space with a full Bimini-cover and dodger providing great protection and extra wide teak decks adding to the elegance of the yacht.The boat is fully air-conditioned and her accommodation comprises of an aft owner’s cabin with a queen bed and large en-suite with separate shower stall, complete with full hanging cupboards, drawers, and writing desk. The forward guest area comprises of a double with private en-suite and a twin bunk with en-suite that can also be used as a day head. The interior is huge and her layout is elegant with the Deck Saloon giving a spacious feel in the saloon area providing comfortable seating for 8. The galley is set down from the saloon and has a full range of appliances. An ice machine and 3 large 24 volt fridges will keep drinks and food fresh for extended cruising. This boat has a comprehensive inventory and is a fabulous, spacious, excellently outfitted, ocean-going family cruiser. Four beautiful cabins finished in teak, with plenty of light and storage.Forward most is the crew quarters (or 3rd guest cabin) with two bunks to starboard and one single to port. This cabin has a walk-through head just aft and to starboard and shares this head with the starboard guest cabin that is just aft of the head. This starboard guest cabin is fitted with a double bunk and plenty of storage, all fitted exquisitely in teak.Across to port is another guest cabin with a double berth and likewise finished in gorgeous teak and with its own private head forward of the cabin.The galley is U-shaped and outfitted with all necessary appliances.Aft is the galley to starboard and aft of the galley is the spacious saloon, flooded with light from the surrounding raised ports and feeling more spacious than it should owing to the deck saloon design. In this space is a folding dinette that can seat eight and a navigation station with a swivel chair and room to spread out charts or get some reading done.Aft of the saloon is the master stateroom with ensuite head, centerline queen berth, plenty of storage and again, finished in exquisite teak.All interior spaces are air conditioned and the boat looks much younger than her real age. The beefy 315 hp Yanmar diesel is in very good condition with another 15 years life expected before any required major servicing. at a cruising speed of 8 kts, it burns only 15 liters per hour.The 8 deep cycle batteries are charged by engine, genset or dockside via the shore power charger system.Hydraulic steering, electric bow thruster, windlass (with 100' of chain) & winches.Bow Thruster Kohler 9kw Genset The Kohler genset works great at 8 kw is plenty to power the fully air conditioned throughout & reefer units.